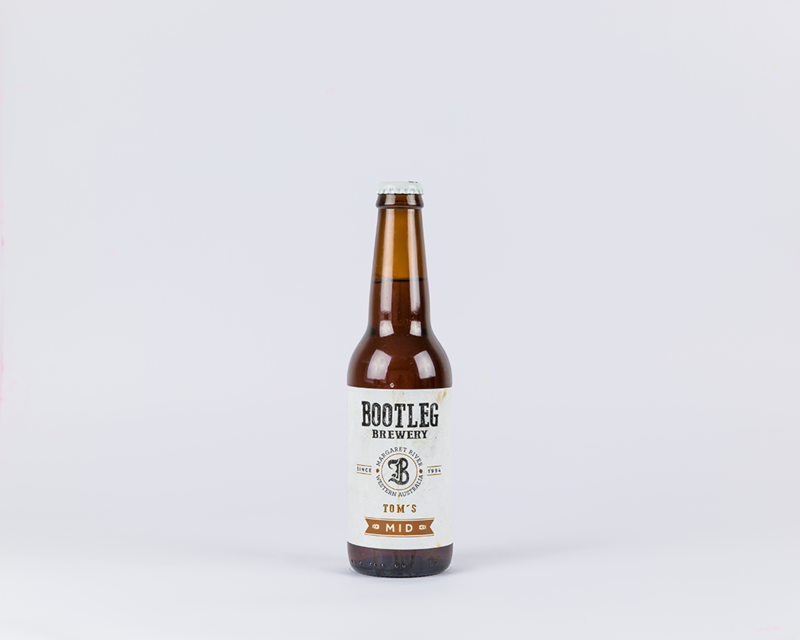 Tom is the owner and founder of Bootleg Brewery and this is his favorite beer! Tom’s Amber is a mid-strength traditional English Mild Ale with layers of Crystal and Roast malts imparting toasty flavours and Aussie Melba hops giving a fresh finish. It is profoundly malty in aroma, copper in color and lightly carbonated. A pleasant ale for all occasions.